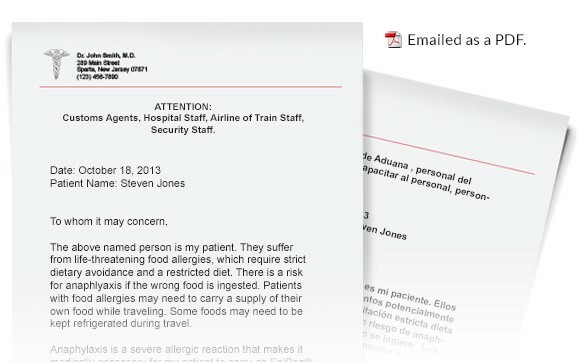 Our doctor letter for auto-injectors (like an Epi-Pen) can be used with customs agents, airport security and airline boarding customer service. Print or save this PDF, take it to your doctor and have your doctor print it again with their letterhead. Show it to customs and airport security to explain why you are carrying a medical device. This letter is only available by email. It is in PDF file format and not laminated.